The simplest complication is the addition of a date display. The window is also referred to as an aperture. On some watches, the color of the numbers alternates between red and black, which is called “Casino” date display. This display allows a much larger view of the date and is significantly more legible than the traditional date window. The variation sometimes has two windows, the left one displaying 0-3, and the right window displaying 0-9. A center hand with an arrow or crescent pointing to the date along the outside periphery, or chapter, of the dial. This is sometimes called a “Bankers” date. Displays the date on a small subdial and is most often used with other complications. The Day-Date adds the day of the week to the date complication. It is typically set using the crown; moving it in one direction changes the day, while the other direction changes the date. It may also be set using a small indented button on the side of the case with a special tool called a stylus. Also called a “complete calendar,” the triple calendar is a further elaboration of date display, adding not only the day of the week but also the month of the year. The Perpetual Calendar is the most complex type of calendar feature that exists on a watch, making it highly expensive and rare. It accurately displays the date, day, month, and year, and even takes into account the leap year. It will need correction in 2100, however, when the leap year will be ignored. An annual calendar is a movement of intermediary complication between a perpetual calendar and a triple calendar. It is not programmed to take leap years into account and will continue to run to the 31st in February before advancing to the first of March. Following date complications, the chronograph is the most common complication: a watch that has a stopwatch built into the movement. 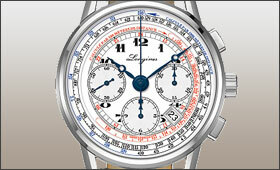 Originally, all chronographs were “monopoussoirs.” The two-button chronograph was not introduced until 1923 by Breitling. 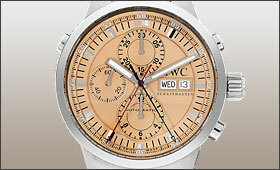 The difference between a one and two button chronograph is that the one button model cannot measure interrupted time spans. The Flyback chronograph is specially engineered so that when a second button is pushed while the chronograph is running, all the counters reset and immediately start again from zero. This feature was originally designed for pilots where split second accuracy is necessary for precise navigation. Flybacks are the exception, not the rule. 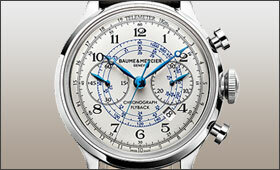 It’s easy to tell if a chronograph is a rattrapante; it will have three pushers on the case. It also has two second hands on the chronograph, one right on top of the other. A Tachymeter is an instrument for measuring speed that is commonly found on watches. Typically, a scale is placed on the outer or inner bezel of a watch and is generally only found in conjunction with chronographs. A Tachymeter measures units per hour, generally miles or kilometers. In order for a tachymeter to work, you must move at a fixed rate of speed and distance (e.g., 1 mile or 1 kilometer). 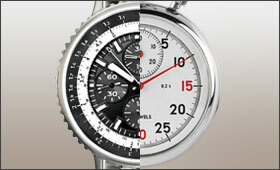 A chronograph is a watch that has a stopwatch built into the movement. A chronometer is a watch that is certified to be exceptionally precise. Dual Time Zone complications help determine the time in another time zone. While not technically a complication, the dual movement is a watch that contains two separate movements, each running from their own power source and each set independently. In dual time watches, both displays are powered by the same movement. The watch displays two or more time zones. This variety of GMT is a further development of the original. What makes it different is that the regular hour hand is set independently of the 24 hour hand, which completely changes the functionality of the watch. Introduced by Rolex in the 1950's, this GMT complication is considered a pilot's watch. Its unique additional hour hand makes one revolution around the dial per day; pointing to twelve indicates midnight and pointing to six indicates noon. The World Time Zone feature has a rotating inner bezel with 24-hour display, part of the watch movement, and an outer bezel, listing the major cities in each of the 24 time zones. The outer bezel is set by the user. 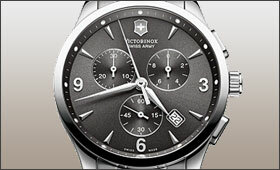 The inner bezel, marked to 24, makes one complete revolution per day. A traditional and aesthetically pleasing feature, the Moonphase complication shows if it is a full, half, quarter, or new moon. Originally, it was primarily used by sailors to gauge tides. The Power Reserve Indicator measures the amount of power remaining in the watch by the tension of the mainspring and displays. 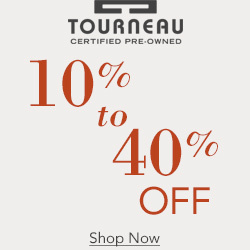 Some watches have a power reserve of up to 10 days, in which the indicator displays days, not hours. This useful complication is found exclusively in mechanical watches. A complication in which the hour is displayed in an aperture that instantly changes every 60 minutes. An alarm function can be found on manual, automatic, and quartz movements. An alarm time can be set independently of the main time to remind the wearer of an event. On some models, the movement of the wrist will wind the alarm while on others it is necessary to manually wind it. A Minute Repeater is a movement that chimes out time when a lever on the side of the case is activated. It was a fairly common complication for pocket watches around the 18th and 19th centuries and is now produced as a collectable, rather than a tool. Invented by A.L. Breguet, the Tourbillon improves the balance of the watch, eliminating timekeeping errors caused by gravity and changing watch positions. Though not strictly necessary for accuracy purposes today, it is commonly appreciated as a feature of high-quality watches. 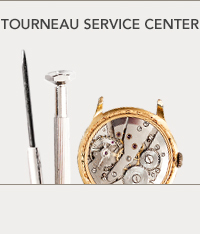 The Tourbillon is extremely rare and requires an enormous amount of time and skill to construct.